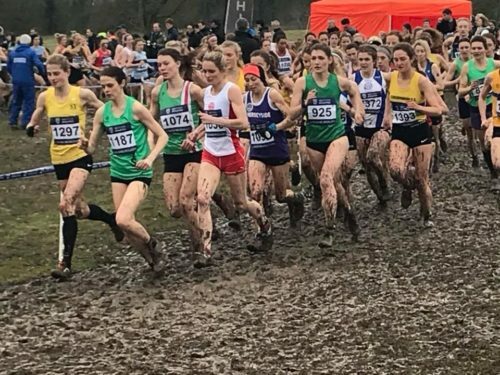 Club captain, Kirsty Longley, continued her fine run of form when competing in the inter county cross country championships at Loughborough on Saturday. 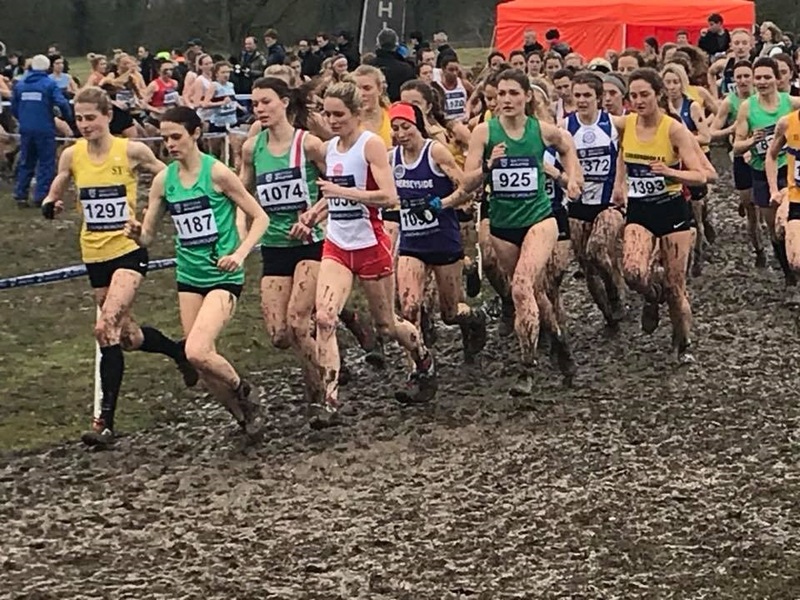 Held in perfect weather conditions, although muddy underfoot, Kirsty was competing, not only against the best runners in England but in the other home countries as well. Representing Merseyside, Kirsty had an outstanding run over the 8K undulating course to finish in 16th place. 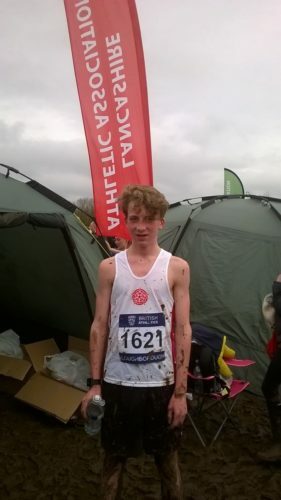 Also representing Merseyside was Dan Slater who competed in the U20 age group He can be pleased with his finish (22nd ), also over the 8K course. The club’s other 5 representatives were all representing Lancashire in this event. In the U17 men’s race, Adam Jones finished 101st, slightly ahead of Ross Harrison who was 116th. At U15 level, Oliver Sutcliffe was 189 over the 4.5k course, while Harriett Foley finished 149th in the U17W race. Morag Molyneux, who was competing as a first year junior, can be well satisfied after completing her 6K course in 142nd place. Veteran, Dave Brown, won his first national title in 5 years, when he competed in the British Masters Over 50 Championships held at Lee Valley in London. 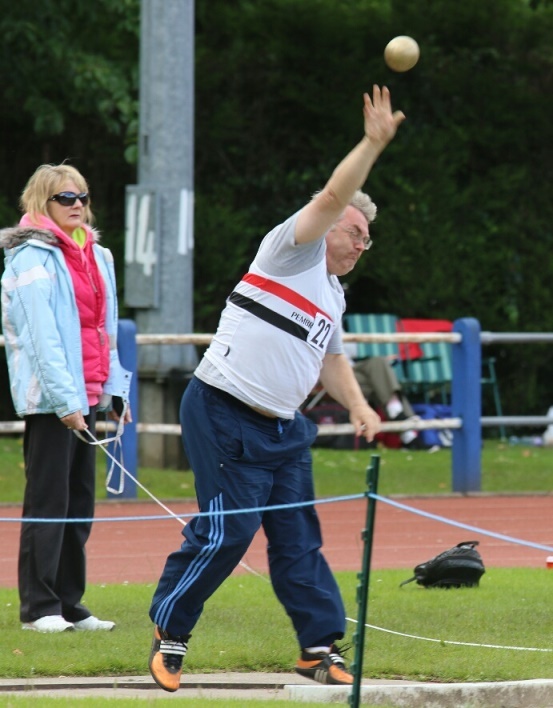 He took the indoor shot title with a putt of 11.05 metres and followed this up by claiming silver in both the javelin and hammer in the outdoor events.